2017 was the safest year on record for commercial passenger air travel, with airlines recording zero accidents deaths in commercial passenger jets last year, according to a Dutch consulting firm (To70) and aviation safety group (Aviation Safety Network) that track crashes. This confidence will further enhance growth in the commercial aviation industry which is forecast to grow 6% to 4.3 billion passengers in 2018. This growth is being lead by the Asian region with especially the Philippines set to record stronger growth numbers due to its airlines expansion plans and the administrations focus on infrastructure spending. PHILIPPINE AVIATION TRAINING. Forecasts show more pilots are needed in the future. Photo by Dirk Salcedo - PPSG/AUP. Key developments in 2017 were all three major airlines in the Philippines announcing that they would focus on fleet expansion in the next few years and key airport infrastructure projects being awarded. Philippine Airlines, which has a current fleet of 86 aircraft, will receive four Airbus A350s, six Airbus A321neos and five Bombardier Q400s in 2018. The strategy is to grow its aircraft fleet to 100 Aircraft by 2022 with US$2 billion already set aside for the fleet expansion program till 2019. Cebu Pacific has a current fleet of 62 aircraft and will take delivery of 47 brand new aircraft between 2017 and 2022 with eight new Airbus A321 and a number of ATR72s being delivered in 2018. Air Asia Philippines also has announced a fleet expansion from its current fleet of 18 Airbus A320 with the aim to grow the fleet to 70 aircraft in the next 10-15 years, with 4 additional Airbus A320 Aircraft in 2018. 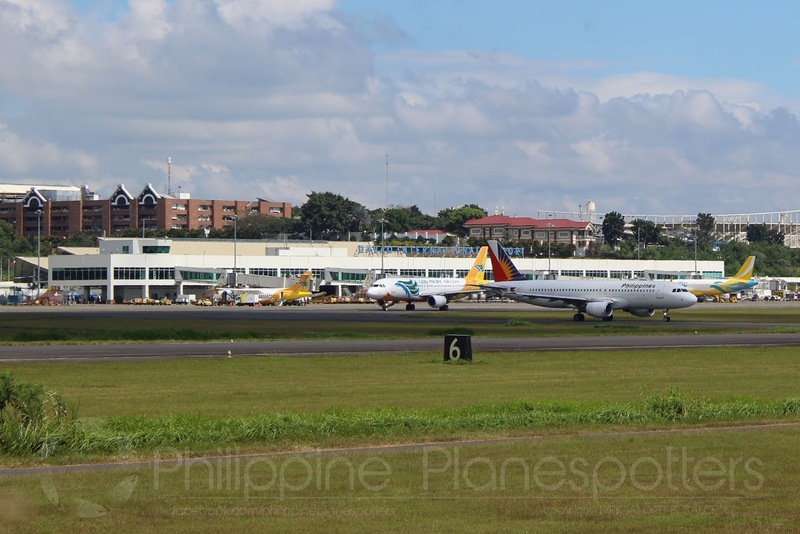 The growth of all the airlines in the Philippines is currently being limited by the infrastructure capacity and the new administration has made it a key point to invest into the expansion of transportation infrastructure, the latest US$250 million Clark Airport Project award to GMR and Megawide Construction Corporation is one of the many positive airport infrastructure developments of 2017. A key requirement to support the growth of airlines in the Philippines is having enough Pilots to fly the new aircraft, alone in 2018 based on approximate ratio of pilot crews per aircraft the above three Airlines would require 390 new pilots. That number does not take into consideration yet the high number of pilot attrition the airlines in the Philippines experience through poaching of pilots by international Airlines. The global pilot shortage is an international headline with airlines scrambling to find quality pilots, recent industry developments are the increasing salary packages being offered to pilots especially in China, Vietnam and the Middle East and the change in visa status for use of foreign pilots in Australia. To better get a view of the pilot demand globally, Boeing’s long-term forecast is that approximately 617,000 new commercial airline pilots will be required in the next 20 years, with the largest pilot requirement being in the Asia Pacific region with 248,000 new pilots required. The largest global aviation market, the United States, will face a potential large pilot shortage issue in the coming decade as the average age of airline pilots is currently 50 years old and newcomers are scarce. If the United States was to change its visa requirements similar to the change Australia made last week this could lead to a large exodus of pilots in the Philippines to the United States, which is already the country with the largest OFWs. (looking for more statistics on the Pilot demand - https://www.aviationfly.com/about-us/). The Philippines, compared with other south-east Asian countries, is a country with a large number of pilot training schools (close to 40 schools - https://www.aviationfly.com/pilot/training-institutes/?fwp_training_institute_countries=ph) and is establishing itself as an ideal pilot training country in south-east Asia due to its English-speaking background and flight training infrastructure. The current flight schools range from schools teaching a few students per year to schools teaching in excess of 200 students per year from a range of foreign countries including Indonesia, South Korea, Vietnam, Myanmar, India, Cambodia, the African continent and many other. The requirement for pilots has not only led to Cebu Pacific announcing an airline sponsored pilot training program, sponsoring 240 students over the next 5 years but has also led to significant investment into the pilot training industry in the Philippines with recent examples being Lucio Tan’s owned MacroAsia Corp. (sister company to Philippine Airlines) partnering with PTC, one of the leading crew management and diversified maritime service companies, investing US$ 3 million into establishing a new pilot training school, Alpha Aviation Group Philippines making a multi-million dollar investment into a new Airbus Simulator and a number of new players currently applying to the Civil Aviation Authority of the Philippines to open new pilot training schools. 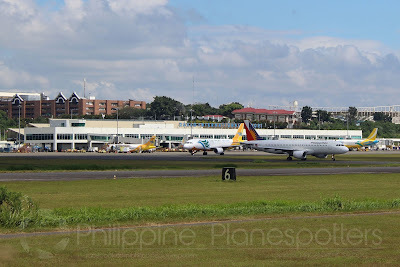 Three of the key obstacles for young Filipino individuals interested in becoming pilots are knowing what the journey is to becoming an airline pilot, identifying what schools are available to them and learning about possible funding methods there are available to assist with the high cost of training. https://www.aviationfly.com/ is the first online platform aiming to eliminate all these obstacles. AviationFly.com was created following numerous conversations with individuals discussing their experience of becoming a pilot. The first key issue was highlighted by almost every individual, the lack of information online in one central location to identify all pilot training schools available. The free to use platform contains about 40 pilot training school in the Philippines currently and allows individuals to contact the ones they are interested in (see this page - https://www.aviationfly.com/pilot/training-institutes/?fwp_training_institute_countries=ph). The pioneering online nature of this directory for pilot training schools allows the website to bring together all the latest information from the pilot training school including latest pictures and the social media presence of the academies. AviationFly.com does not stop there it also tries to solve the biggest obstacle to pilot training reducing the cost of training by showing Filipino’s study now pay later programs. Over the next few months the team at Aviationfly.com will focus on adding more financing programs specifically for Filipino’s to the website (if you are a bank or lender kindly email us at info@aviationfly.com to be listed on our website). AviationFly.com was created to simplify the journey of individuals learning about the different pilot training schools in the Asia Pacific region or near them to find the best suited one to them. The concept has proven to be a hit with the website receiving already over 1,000 Filipino visitors per month looking at the different pilot schools in the Philippines and its social media following and Facebook page having grown to over 24,000 since its launch in August 2017. Individuals interested to become pilots should check it out. If you would like to get in touch with us kindly email us info@aviationfly.com.